Patients who do not undergo timely radical cystectomy for muscle-invasive bladder cancer have worse survival, according to a new study. 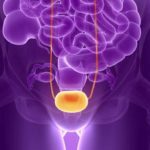 Delays in radical cystectomy (RC) for muscle-invasive bladder cancer (MIBC) are associated with increased mortality risk, according to researchers at the University of Washington in Seattle. Using the Surveillance, Epidemiology, and End Results (SEER) database and the Medicare claims database, Alice T. Chu and colleagues looked at patients with stage II urothelial carcinoma of the bladder who underwent RC from 2004 to 2012. The investigators stratified 1,509 patients into RC groups with or without neoadjuvant chemotherapy (NAC). Delays in RC longer than 12 weeks from diagnosis were associated with significant 1.6- and 1.3-fold increased risks of death among with or without NAC, respectively, Chu’s team reported in Cancer. Among patients proceeding to RC without NAC, those living in high-poverty neighborhoods or lived in non-metropolitan areas had significant 1.4- and 1.6-fold increased odds of delayed care, respectively. Men and patients who required a provider transfer for bladder cancer care had significant 2.2-fold and 1.8-fold increased odds of delayed care, respectively. “Timely surgery is fundamental in the treatment of MIBC, and this necessitates attention to disparities in access to complex surgical care and care coordination,” the authors concluded. Chu AT, Holt SK, Wright JL, et al. Delays in radical cystectomy for muscle‐invasive bladder cancer. Cancer. 2019; published online ahead of print.